In exactly one month, we leave on an epic cross-country road trip with our family. Nine people. One van. 16 days. And, of course, I plan to include plenty of family history along the way! 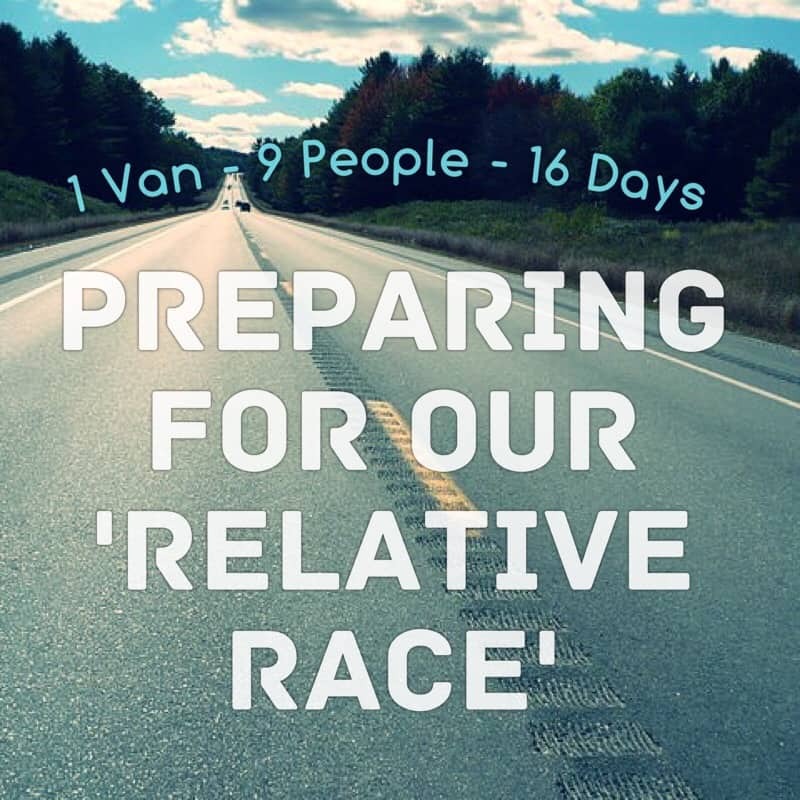 Much like the new show “Relative Race“, we will be traveling from relative to relative along the way (although unlike the show, we already know the relatives… and we are staying at a hotel… because we cannot just bombard someone’s house with 9 additional people!) We are also stopping at several locations that are of genealogical significance. A large part of my preparation now (aside from maps, clothes, food, etc.) is preparing for the family history part of our trip. As we visit each relative, I want to take the chance to make digital copies of any photos and other memorabilia they have at their home. For this, I am bringing my ShotBox (which thankfully folds up fairly small to fit in a very crowded van), my Nikon D3100 Camera (and all charging cords and extra batteries and memory cards), as well as the tripod. My iPhone takes good quality photos, in additional to being a fabulous tool to record stories or other interviews I may have a chance to get while visiting my relatives. I am going through my collection of photos and videos looking for the unidentified ones that the relatives I am visiting might be able to help identify. I will load all these onto my iPad to look at as we visit at each place. Wouldn’t it be great to solve some of those mysteries? For each genealogically significant stop, I am identifying which ancestors lived there and how we might incorporate some family history activities at that location. For example, my Corn, Barton and Stevens lines lived in Oklahoma City for several generations, so this will be a significant stop for me on the trip, as I have never been there before. To prepare for this stop, I have made a Google Map showing all the historic locations for my family in the city. I have color-coded each branch of the family with a different color. Each business or school of significance has a green box. The cemeteries where our ancestors are buried are marked with a gold rectangle, and I have included a list of names of those interred at each cemetery right with the marker. This map has helped me plan an extra fun scavenger-hunt-type activity for my family on our day there in Oklahoma City. I can’t wait! Of course, we will be making (and documenting) a whole lot of new family history on this trip, outside of celebrating past family history! Do you have any other suggestions or tips for us from your past ‘relative race’? Great idea to make a google map! I can’t wait to hear how it all goes. Sounds like a fun trip, Melissa. Bet you can hardly wait to get going. Oh, yes, so excited to go. But, nervous that I am forgetting something with so many people going on such a big trip! We’ll have fun even if we wing it a little.